The end is getting closer – and Charlie’s defenses are slipping. As usual I don’t want to give away too much of the storyline but a lot happens in Chapter 13 and Charlie is definitely in need of comforting. Hence my song choice for this chapter – Arms by Christina Perri. I first heard this song a few years back when my daughters introduced me to the album Lovestrong. I was smitten with Perris’ beautiful vocals and the deceptive simplicity of her lyrics. It played on repeat in our car for months. A few weeks back I came across this song again and remembered why I loved it. 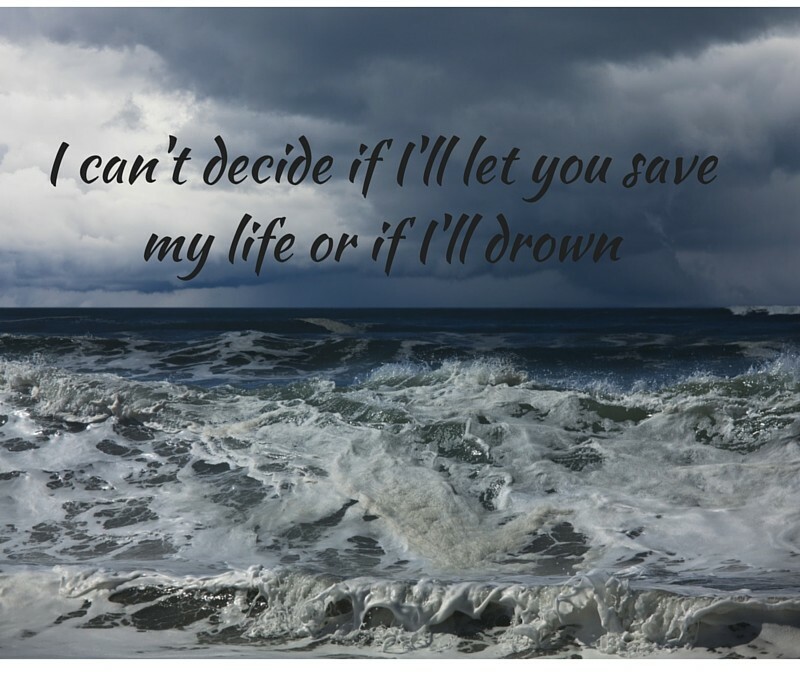 It’s a perfect fit for how Charlie’s feeling by the end of this chapter and when I watched the film clip I couldn’t help but notice the sea imagery and the drowning metaphor – very appropriate for Close To Home. I hope you love this song as much as I do. ps: The guy in the film clip is definitely NOT Joel!